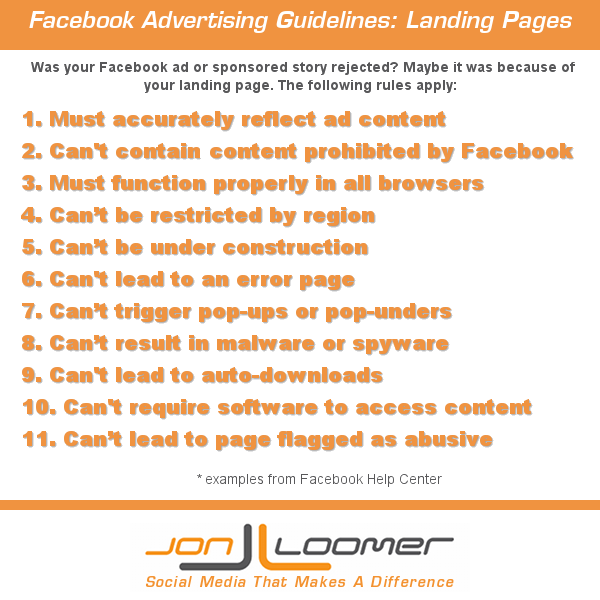 This is part of a series of blog posts covering Facebook Advertising Guidelines. Now let’s talk about the proper use of a landing page or URL destination for your Facebook ad unit. More specifically, let’s lay out the violations that can get your ad rejected. Once again, this is largely pulled from the Facebook Help Center. 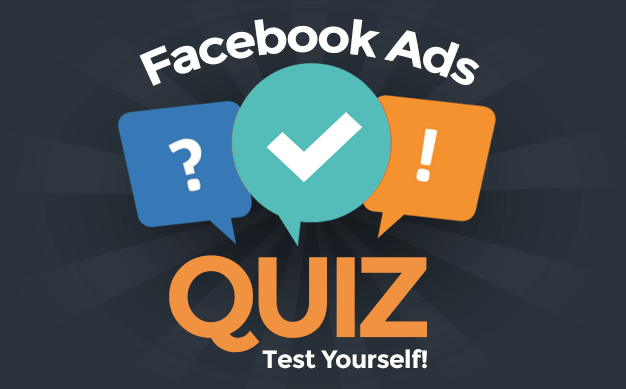 Whether your ad sends users to a Facebook destination or an external URL, your landing page must accurately reflect whatever it is you’re promoting with your ad. No bait and switch, nothing deceiving. We actually discussed this briefly in the post about Acceptable Language. The landing page also cannot contain any content, products or services that are prohibited by the Facebook Ad Guidelines. Check this out if you need more info. In other words, your landing page has to be clean, functional, honest and not spammy. Pretty consistent with what Facebook expects within their pages as well. I may be missing something, but I didn’t see any rules that apply to Facebook tabs. I assume that the rules for external landing pages generally apply here. Just make sure the landing page works, isn’t deceptive, etc. The second one is obvious. Why in the world would you do that? But the first is one that people could potentially miss. While I’ve never promoted a Group, I’ve had people ask me about that before. You could promote an Open Group, but not one with any restrictions. Your landing page is often an advertising after thought when getting your ad is accepted or rejected. Some of these are common sense, but they are also reassurance that Facebook is putting safeguards in place to protect its users.